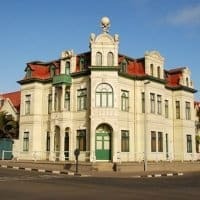 Swakopmund (meaning ‘mouth of the Swakop’ in German) is approximately 400 km’s west of Windhoek and is the administrative capital of the Erongo region and has a population of approximately 50000 people. Walking through the town one will see palm lined streets, beautifully preserved German architecture, many excellent restaurants and street style café’s and of course beautiful, clean white sand beaches. There is a considerable choice of accommodation in Swakopmund for tourists ranging from the more affordable backpacker type to the up market and exclusive accommodation and everything in-between. Activities available in Swakopmund will suit every type of traveler…whether it’s a more relaxed activity such as participating in a guided walk of the town or going fishing or more of an adrenalin kind of activity such as skydiving or quad biking there is something for everyone. Don’t forget to do a guided tour of the nearby Namib Desert and be fascinated with what creatures’ one can discovers hiding in the sand or shrubs. Or go on a boat cruise from nearby Walvis Bay and see dolphins, seals and other sea life. 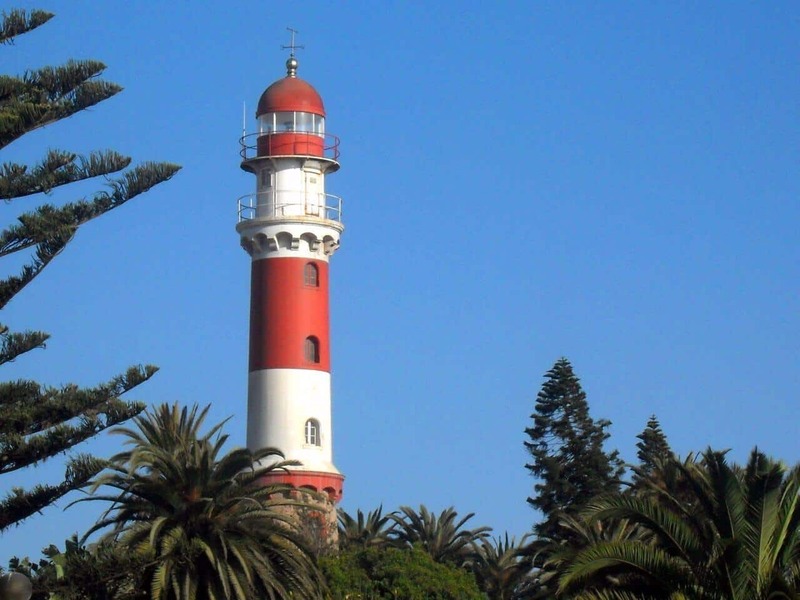 Swakopmund also offers many day trips to view and explore the surrounding areas. 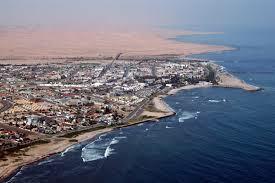 Swakopmund was started as a harbour town for the German imperialists in 1892. At that stage the deep water harbour in Walvis Bay belonged to the British. The town quickly became the main port for imports and exports for the whole territory, and received municipal status in 1909. Many of the original German built buildings that served as head offices are still standing today resplendent in their classical German designs and architecture. 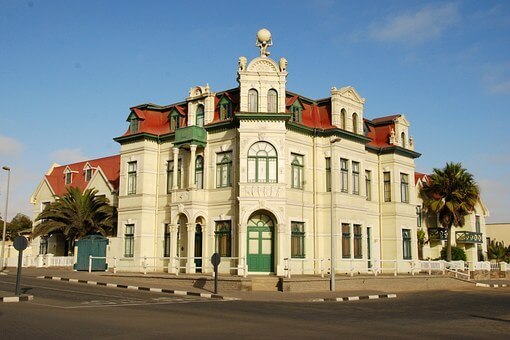 Many government offices for German South West Africa also had offices in Swakopmund. During the Herero Wars a concentration camp for Herero people was operated in town. In 1915 when German South West Africa was taken over by the Union of South Africa all activities in the harbour were transferred to Walvis Bay. As a result of this the number of inhabitants reduced and many of the government services ceased and businesses closed down and the town of Swakopmund became less prosperous. Fortunately the potential of Swakopmund as a holiday town was recognized and this potential has been fully realized and developed. Today tourism and mining are the towns’ main economic contributors. To view accommodation options in Swakopmund please click here.